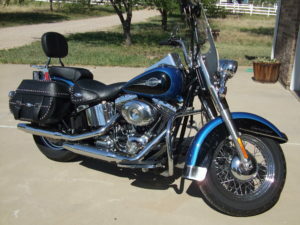 I rented a Softail Classic and we did a few days riding for me to become reacquainted with riding and learn to ride all over again with a bike WAY bigger than my old Yamaha. Its engine was more than TWICE the displacement of my XS750. 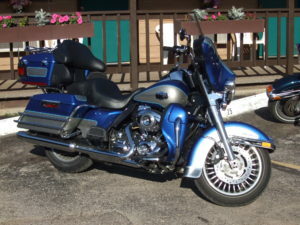 After a few days of riding, Don suggested that maybe the long ride to Sturgis would be a little too much for me, and that we should just enjoy ourselves riding around Colorado and taking in the local flavor and sights. So we spent a week riding the mountain passes of Colorado. We rode to Estes Park and walked about. We saw mountain streams, winding roads, and lush forests. I never had more fun! He showed me fabulous little towns, great mountain roads and spectacular views, and I learned to love riding all over again. But, Don’s 2003 Ultra wasn’t running right, returning poor fuel mileage and power, and he resolved to have the dealer look at it after our trip. The following year, he invited me again, and this time I rented a 2009 Ultra Classic, also 96 cu. in. 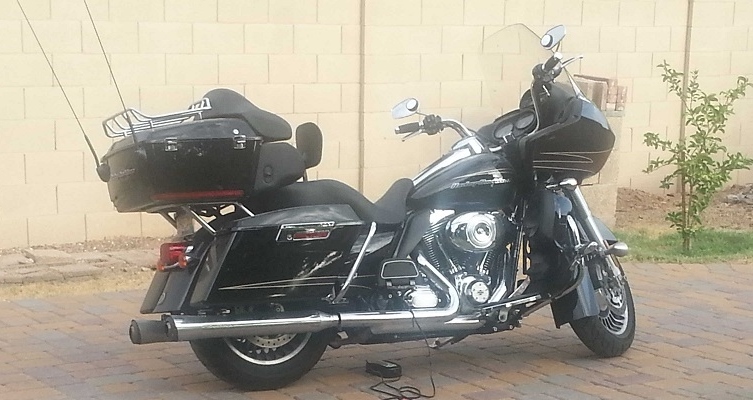 motor, and off to Sturgis we rode. Don’s good friend Dave rode up with us on his Honda sport bike, and laughed as he passed us in the “twisties” at twice the posted speed. Spearfish Canyon, Devil’s Tower, Mount Rushmore, Black Hills of South Dakota; we did them all, and we strode around the motorcycle mecca of Sturgis until our feet hurt. I was in motorcycle heaven. Don, on his 2003, was still having trouble with his bike though, and despite numerous trips to the dealer, he never really got it to run “right.” It was better than the year before, but still not great. The following year, 2010, I couldn’t get my act together in time, and I missed the trip. 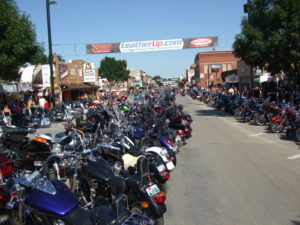 My work schedule ran right into the Sturgis dates, and I couldn’t go. Don was very disappointed, as was I. Of course I couldn’t refuse! 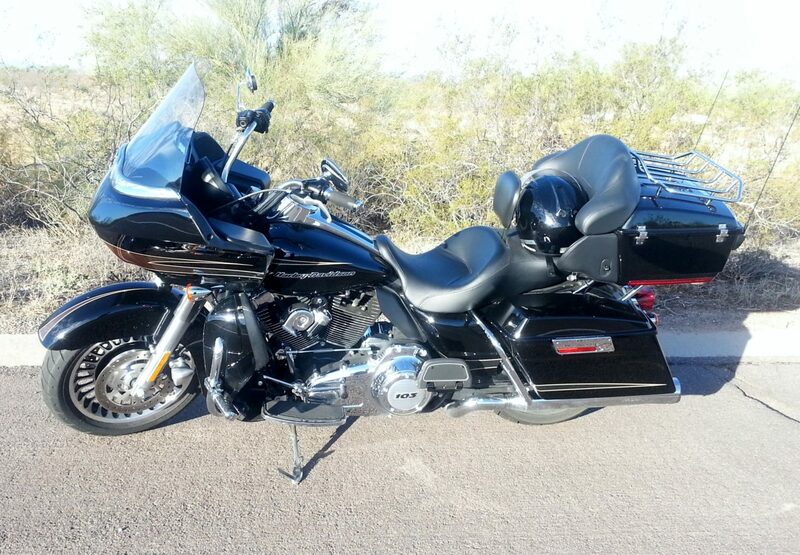 I flew to Denver that August, rented an identical bike to his new 2011 Road Glide, and off we went. What a ride! We pulled into Custer, South Dakota, ten minutes before they had the biggest thunder, hail, and rain storm in recent memory. Don and I stood high and dry on the motel porch toasting our good fortune as we watched floods carry peoples lawn furniture down the gully. The week flew by! Don and I and his good friend Mac, saw the sights, painted the town, and piled on many glorious riding miles. I loved the Road Glide’s power and torque, comfort and speed. Don egged me on to buy one, maybe even the one I was riding, and just ride it home from Denver. For many reasons, not the least of which was the huge cost, I deferred his good-natured encouragement. So, one night sitting around after a great day’s ride, he quipped, “Well, when I die, I’ll just leave you mine.” We chuckled and opened another beer. I had no idea that this trip was the last time I would ever see Don again. In the interim, we talked often, laughed together a lot, but I never made it to another trip with him, nor would he have the chance to put too many more miles on his new Harley. I can’t drag out the story of the time between then and now, because it’s just too hard for me, but in April of this year, I flew up to Denver to attend Don’s “Celebration of Life” memorial service, he having succumbed to cancer after a long difficult battle. And yes, he left me his Harley. All 950 glorious lbs. of Milwaukee Pig Iron, glossy black and chrome, with performance cams, air horn, and Screaming Eagle pipes to sing its tune, and let him know I’m riding. 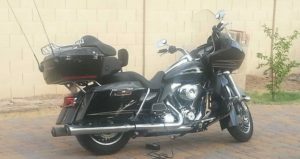 When I went to Denver to pick it up, my best friend Jay graciously volunteered his truck and his good company so we could rent a trailer and tow the Harley to its new home. When we got to Don’s old place, Mac was there to help us load up, and we made a pact to meet in South Dakota later in the month to scatter Don’s ashes in Spearfish Canyon, as he had wanted. Later that month, my wife and I flew up to Rapid City, rented a car, and met Mac and Dave in Custer. Over 3 days, we recalled our favorite memories of Don, and our collective experiences together. 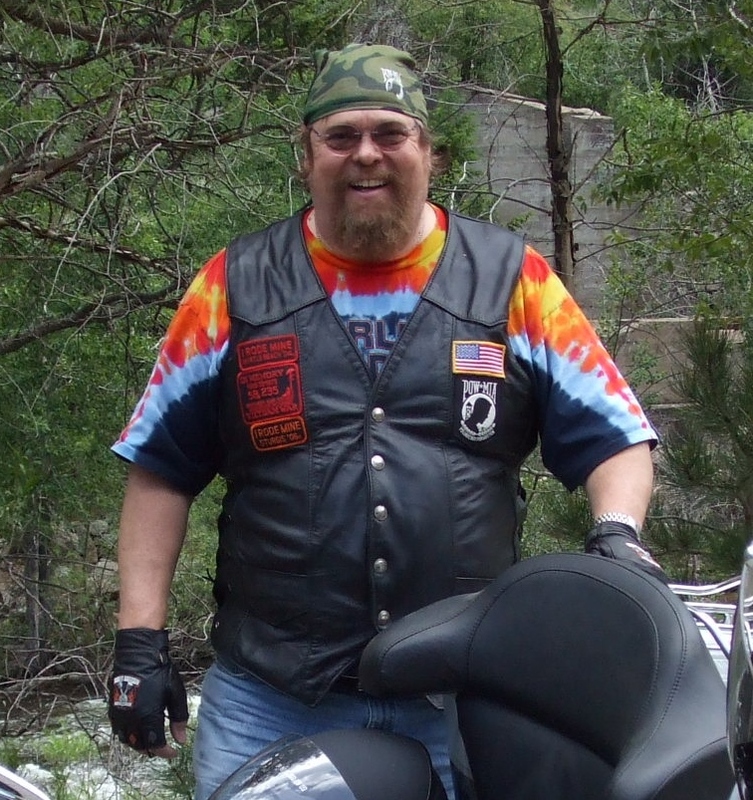 We traveled the length of Spearfish Canyon, and stopped to marvel at the spectacular scenery of Don’s favorite road, and for each of us to say a few words and drink a toast in commemoration of our good friend and riding buddy. 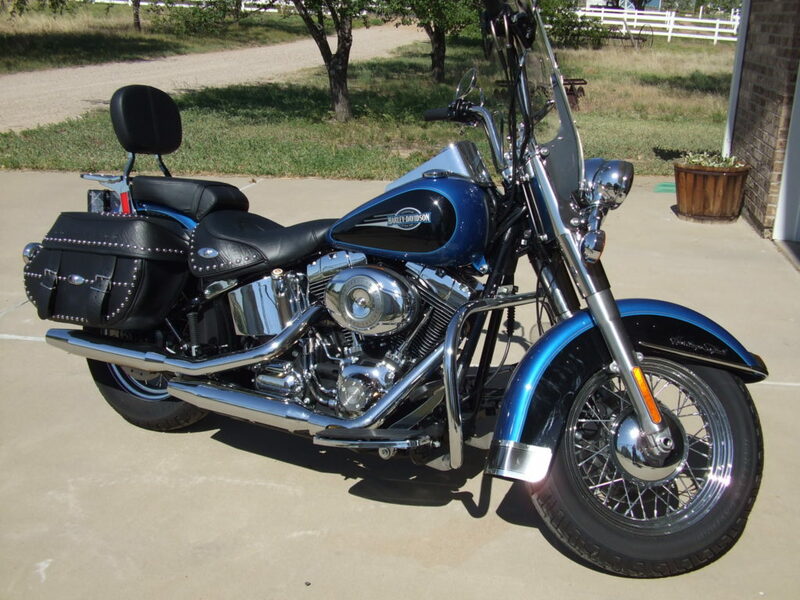 I have wanted a big Harley ever since Don put me on my first one and taught me how to ride it “right.” No, maybe since I was a kid and I saw those huge Electra Glides cruise by, fish tail pipes singing the twin cylinder tune, chromed, tassled, and tough. It’s been a life long dream. Now I have one. I never take a ride without thanking him. But, the “price” is WAY too high. As much as I like the Harley, I’d rather have Don. « Exterior Finish Restoration – This Took How Long?